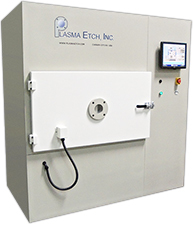 Dry Etching | Plasma Etch, Inc.
Any plasma treatment performed without the use of chemicals is commonly referred to as dry etching. 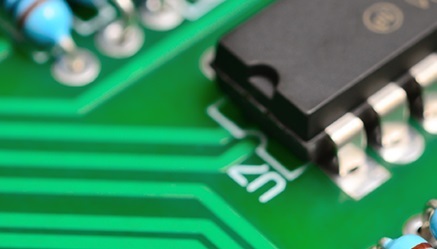 Multiple types of etching are often used to manufacture printed circuit boards (PCBs). Another advantage of a plasma etching process is the directional or anisotropic nature of plasma technology. This means that since the etching process will be performed in one direction, under etching is much less likely to occur using plasma than other etching methods. Under etching occurs when the etchant is able to etch under the photoresist, resulting in sloppy etching and possibly poor electrical reliability. Dry etching is often used to manufacture printed circuit boards (PCBs). The ions in the plasma bombard and etch away at the material of any exposed surface. The photoresist protects the material and allows the unprotected areas to be etched away by the plasma. This process allows for the most effective plasma desmear solutions available today as the sludge left behind by drilling is removed from drill holes, allowing for a superior solder connection. Chemical etching is multi-directional, allowing the chemicals to potentially etch under the photoresist from the side. This results in a higher error rate than plasma. 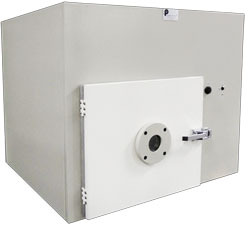 One of the most popular types of dry etching we build systems for is reactive ion etching. During this process, electrons are deposited onto a platter which creates a negative charge due to the platter's electrical isolation. This negative charge causes a negative voltage to develop as well. The voltage is usually a few hundred volts, creating plasma with a positive charge. The plasma created with a positive charge is a result of the additional positive ions compared to free electrons in the chamber. The difference in voltage causes the positive ions to drift toward the wafer platter. They collide with the samples to be etched and react chemically with any organic material on the surface of the samples. This reaction strips all of the organic matter from the material, which is then removed from the chamber by the vacuum pump. 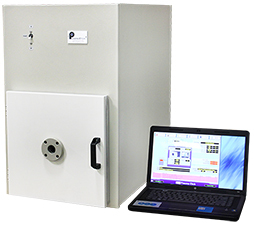 Etching conditions in any of our systems are fully adjustable. Gas flow, pressure, and RF power settings may be adjusted manually or automatically by allowing the etching equipment to follow a pre-programmed recipe. Plasma does an excellent job of removing organic contaminants and activating the surface of most metals. Plasma is generally not considered a viable technique to remove metal. Etching metal is technically possible, but very time consuming. By heating the chamber, we can speed up the etching process. The BT-1 is our most popular industrial dry etching solution. The MK-II is the ultimate solution for high volume industrial use.